Where modern luxury and elegance meet island living, this exquisite 3 bedroom residence is fully furnished and located on the premier level of Waikiki’s newly completed luxury branded hotel, the Ritz-Carlton. The residence features 1600 s.f. 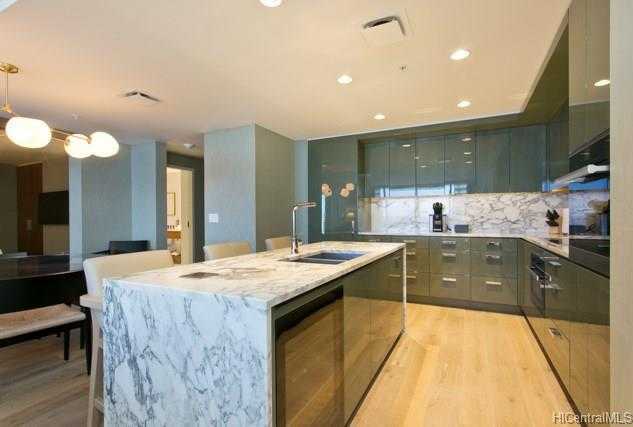 of specious living area with high-end interior finishes plus a nearly 300 s.f. lanai where you’ll be able to enjoy a breathtaking panoramic view of Hawaii’s ever so blue Pacific Ocean. The hotel’s prestigious services and amenities are readily available with concierge service, valet, a state of the art fitness center, pool area, as well as a full-service resort spa. A cafe & deli, gourmet market place & wine bar and fine dining restaurant truly cater to everyone’s appetite! Please, send me more information on this property: MLS# 201801913 – $4,370,000 – 383 Kalaimoku Street Unit 3502, Honolulu, HI 96815. I would like to schedule a showing appointment for this property: MLS# 201801913 – $4,370,000 – 383 Kalaimoku Street Unit 3502, Honolulu, HI 96815.